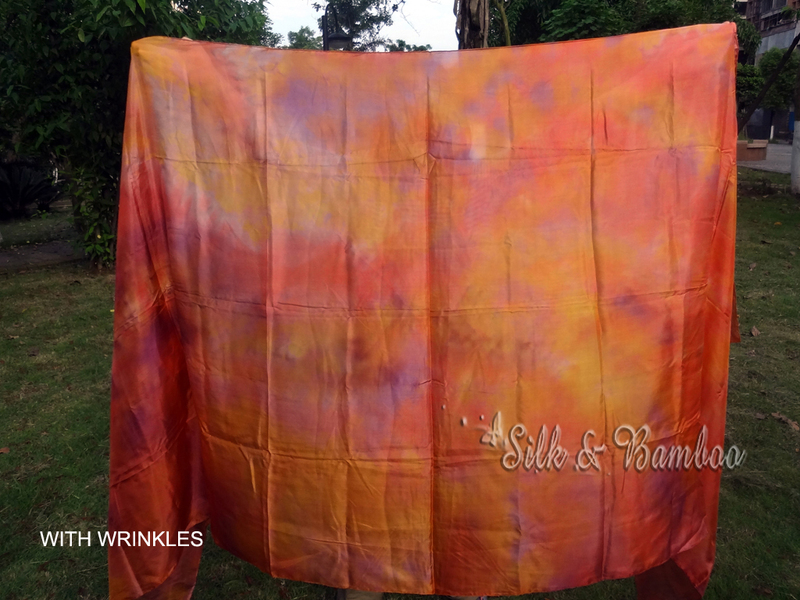 Home :: Store News :: Get rid of silk wrinkles! 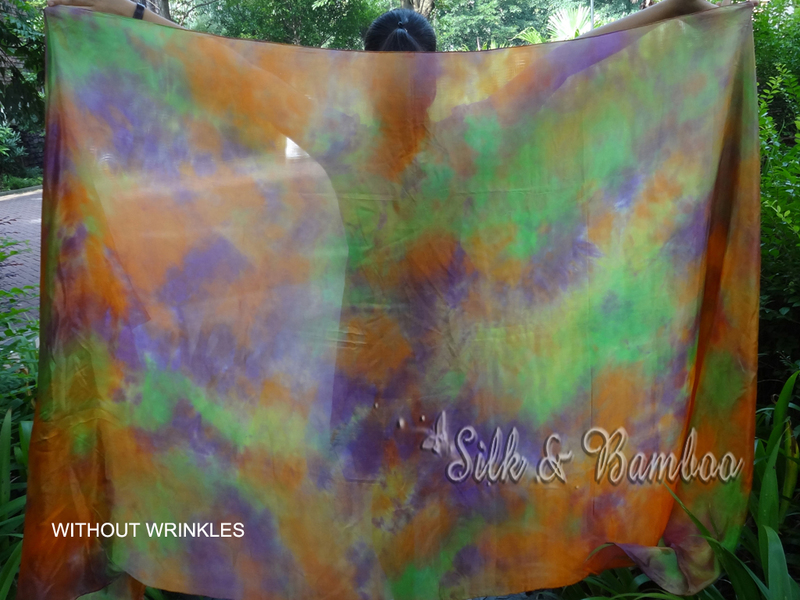 Silk will get wrinkled after long time stock and packing. We need minimize their size to save shipping cost. When you first get the fan veils out of the package, it is mostly like this. 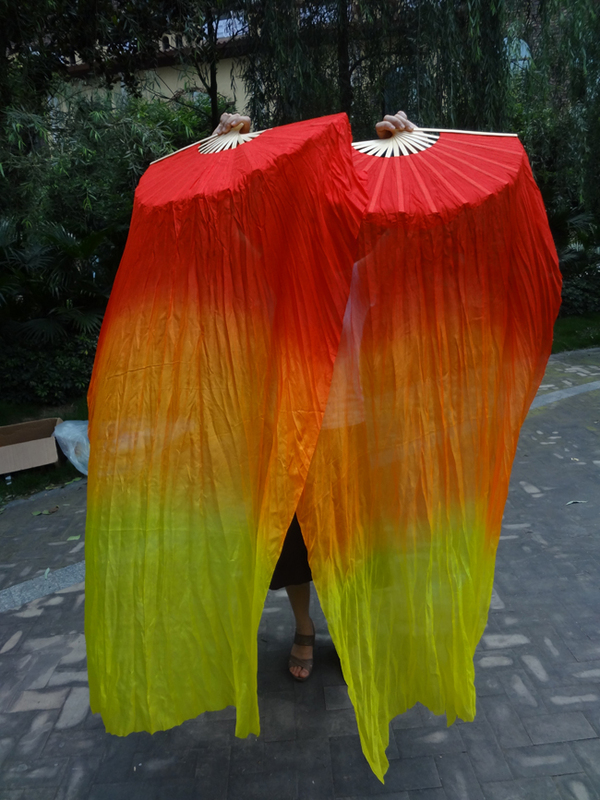 The wrinkles makes the fan veils look narrow than they actually are, and they prevent the fan veils from floating freely. 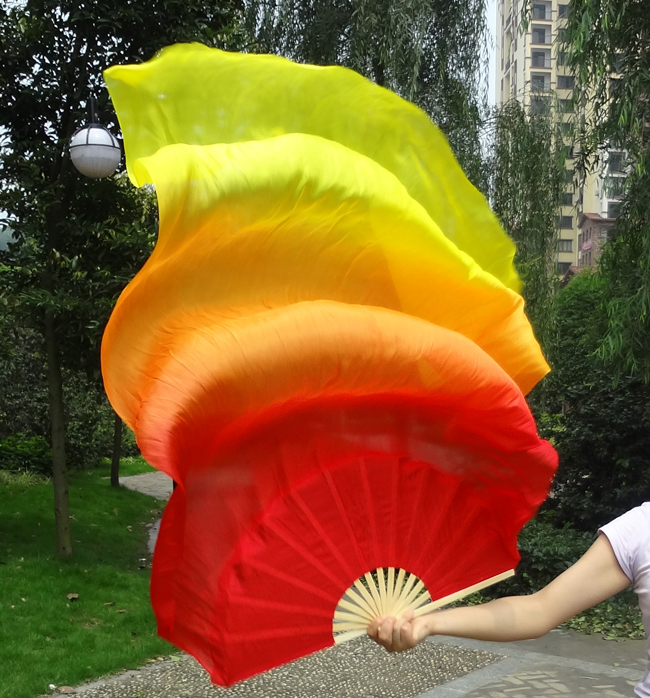 Without the wrinkles the silk fan veils would look much more beautiful. Veils without wrinkles also look more beautiful. 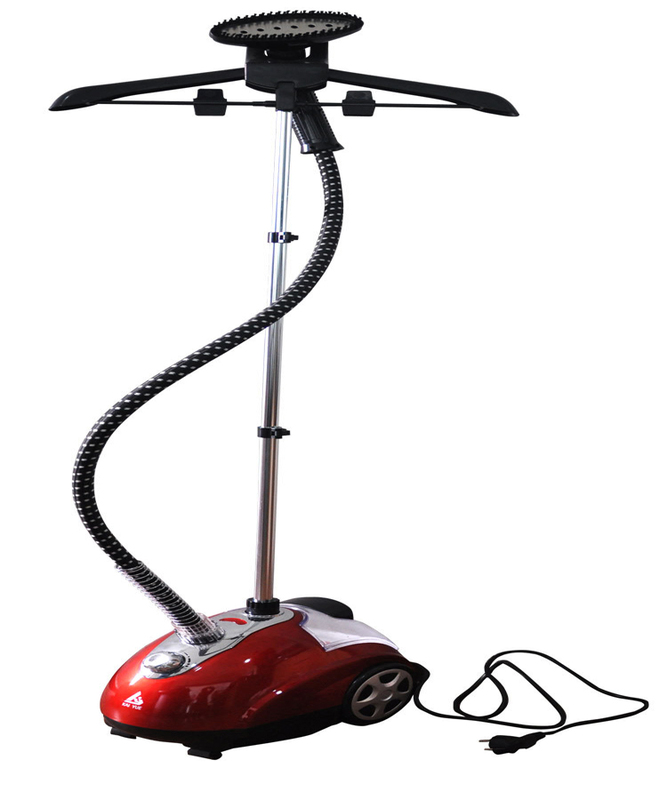 A steaming ironing machine like this will help you get rid of wrinkles in less than 1 minute. 1-only the steaming ironing machine can do this work. Electric heating iron will damage the fabric! 2-Do NOT press too hard on the silk fabric. The fabric will be flattened instantly on touch of the steams. 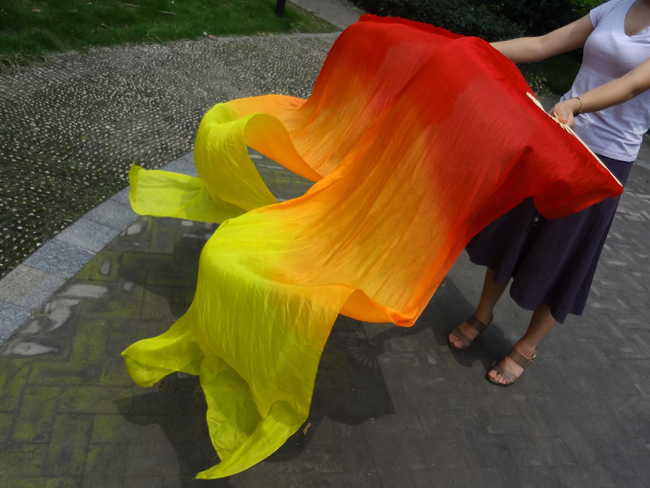 3-After Steaming, expand the steamed fabric in a flat place for a few minutes. After it’s dry it will maintain the shape for a longer time. AS not many of us have one of those machines, another way of doing it, is hanging the fans somewhere in the bathroom while taking a shower, the steam will give the same effect ( or the closest you can get from the professional steamer), that's what I do with my things.